Shipping will be extra and will be only my cost. We ship Priority Mail. Our Sport yarn is processed per animal and each lot is a rich vibrant color. 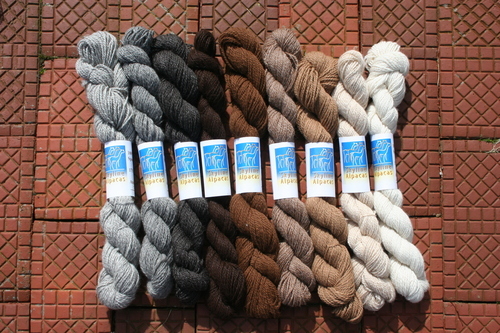 We currently have all the natural colors and we can send you pictures of any lot you would be interested in purchasing. Please email the general colors you are looking for and I'll send you photos of what we have available.